The computer can suspend automatically after a period of inactivity (this can be configured from Settings > Power), but what if you want to suspend the computer on demand? There's no need to keep looking for the Suspend button because you won't find it, even though it's there, in the user menu... sort of. 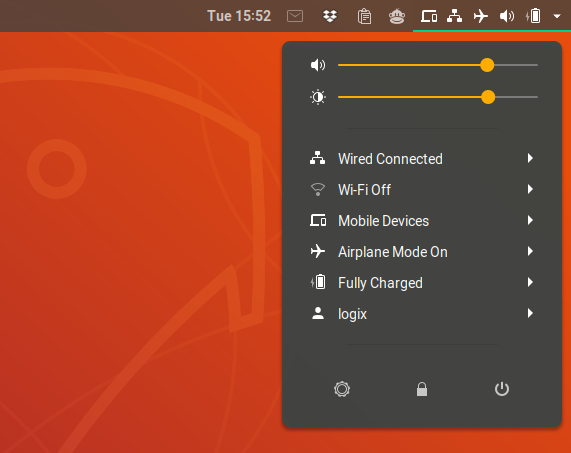 The solution is very simple, although unintuitive: open the user menu (the menu from the top Gnome Shell bar that contains the power off button, etc. ), hold down the Alt key and the Power Off button should change to a Suspend button. You can now click the Suspend button to suspend your Gnome desktop. Notice the button in the bottom right-hand side that changes between Suspend and Power Off (I'm holding the Alt key while recording this Gif). Yes, it's that easy but also that.... undiscoverable. You can also long-click the Power Off button and it will change into a Suspend button. Install the Suspend Button extension for Gnome Shell from the Gnome extension repository.